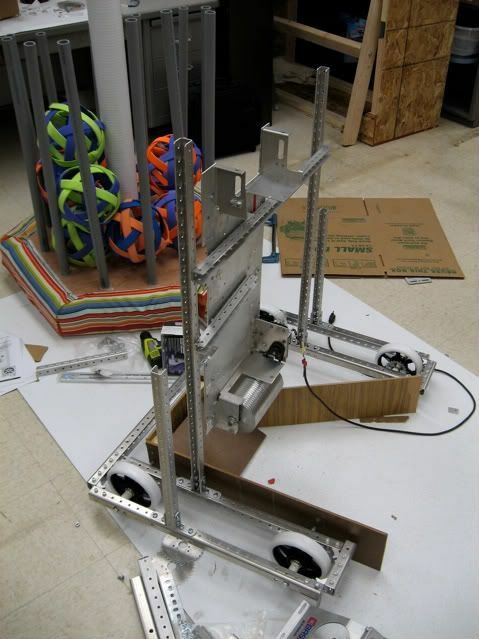 Five weeks left, and Sunday saw a flurry of activity on a number of areas by FIRST FRC Team 443. In one corner the team worked on the controller and programming toolchain. We had another team building a mockup trailer while learning about basic woodworking. Another group was designing the moon rock collection systems. Our prototype robot, Gwen-a-gear needed a controller transplant so several students learned how to use an end mill while working on a lexan controller mounting platform to bolt onto the chassis which already has the moon wheels installed. A couple of the students worked on decomposing the work into a work breakdown structure (WBS), plan, and rough schedule to help the entire team stay focused.